independent Researcher. Expert on Diversity Change in Narrative and Society. Inventor of NEROPA. Belinde Ruth Stieve is a German actress from Hamburg, she works for film and television and as voice artist, and has performed in all 16 German Länder (subdivisions of the state) with her solo literary project “Gelesenheiten – inszenierte Literatur für jeden Anlass“. When she reached 40, she noticed less role offers coming in. In order to find an explanation for this she started systematically evaluating the casts of film productions and got the confirmation that an already existing gender imbalance for roles increases even more from the age of 40 onwards. She decided to get to the bottom of this and in 2013 began analyzing and commenting on film and television, focussing on the situation of women and men in front of and behind the camera and its effects. In 2013 she started her bilingual blog SchspIN – An Actress’s Thoughts. This was followed by an involvement in the First Diversity Report 2010-13 of the German Directors’ Union BVR, consulting institutions and organisations (German TV ZDF Kleines Fernsehspiel, FFA German Federal Film Board, Degeto TV production company, BFI and others) and invitations to panels and events. Stieve is a member of EWA European Audiovisual Network, and supports Women in Film and Television, Pro Quote Film und other initiatives for change. She gives talks and workshops in Germany and abroad (Into the Wild Mentoring Programme, FSE Day of Dramaturgy, FU Berlin, UdK Berlin, Skript Akademie, WIFT Germany, WIFT UK, Equity UK, Irish Equity, verdi FilmUnion, BFFS, Academy of Arts etc.). 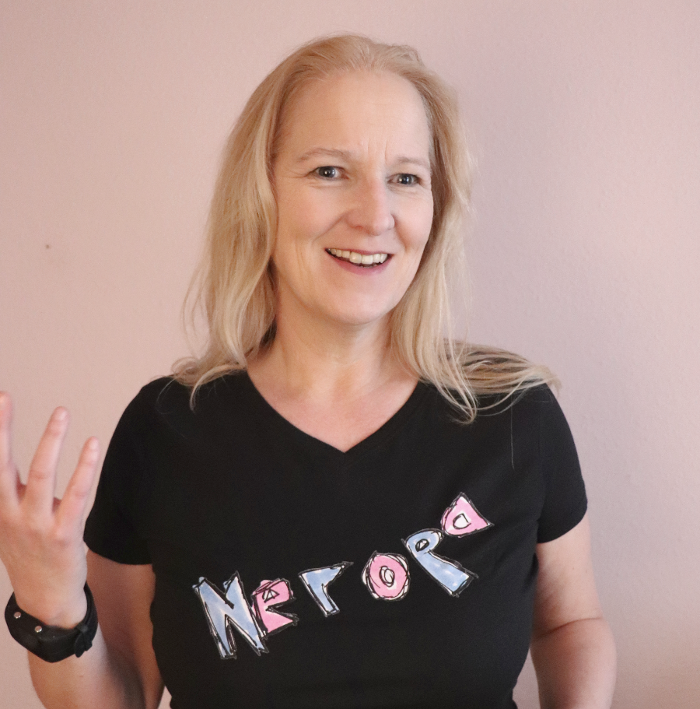 Because analyzing the status quo alone does not lead to change, Belinde Ruth Stieve invented the method NEROPA Neutral Roles Parity in 2016, to reduce gender imbalance in film casts and raise awareness, With it she is also showing other areas of society a way out of unequal situations and discriminatory mechanisms. For statistical analysis of scripts and roles she uses, among others, DramaQueen, a software for script writers and authors.